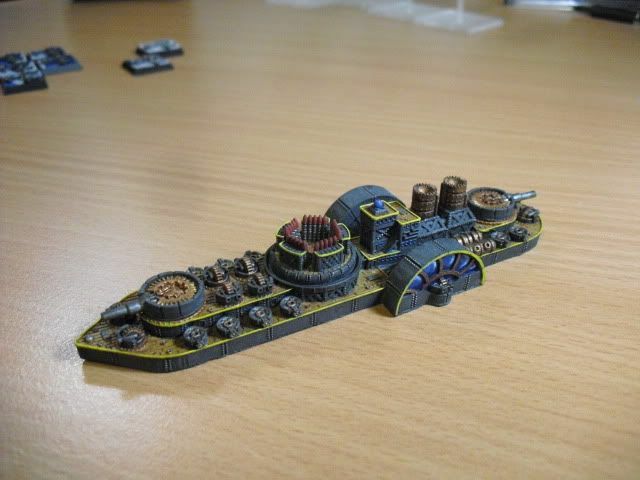 Dystopian wars: The FSA sets sail. Location : Too close to the water. Damn those seagulls keeping me up. 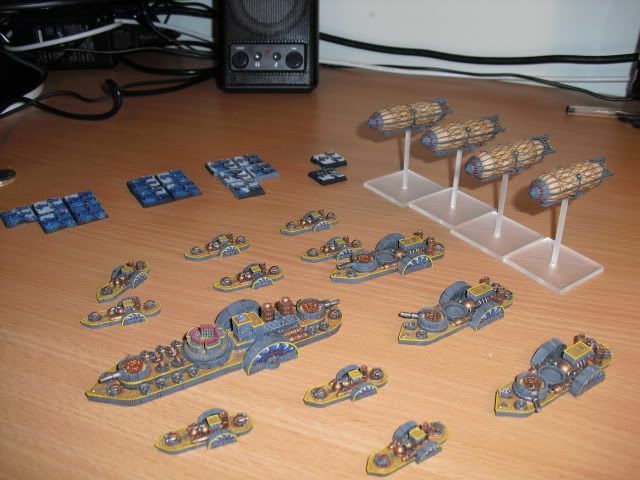 Been playing some dystopian wars lately and am getting through painting it all. 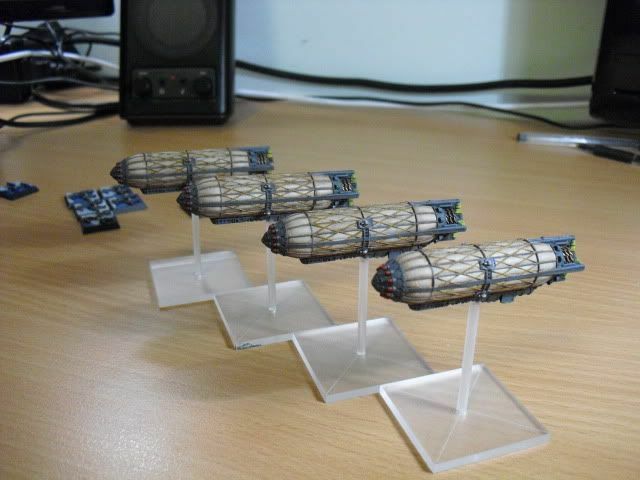 Sorry about the crappy pictures, phone cam. And see you all in november! WOW...just wow, really like it, would love to get into it. 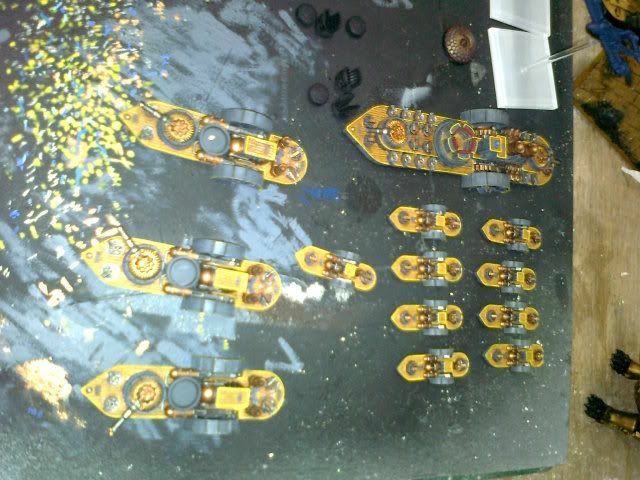 SOme more pics of the Steam boats. 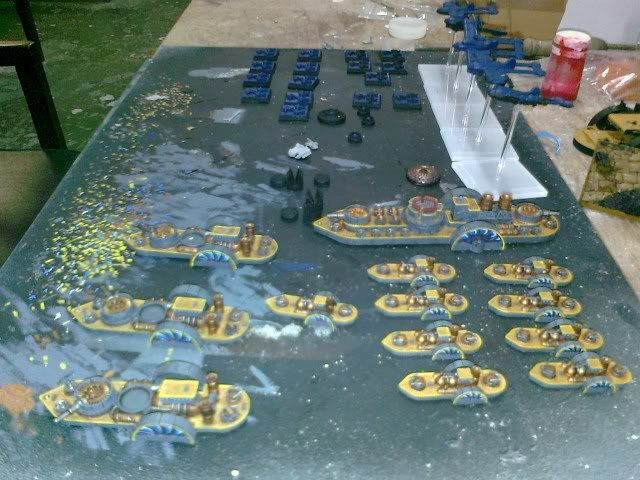 Subject: Re: Dystopian wars: The FSA sets sail.